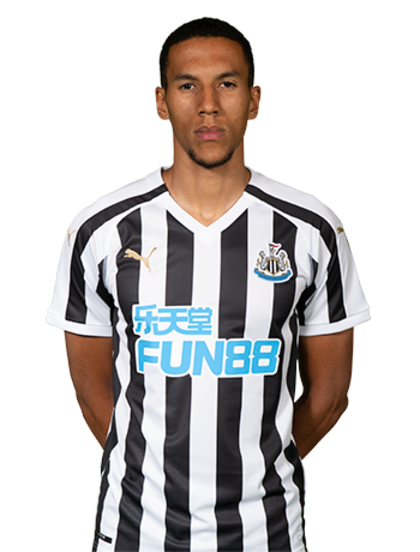 After starting his seventh Premier League game in a row, Isaac Hayden reiterated that his focus on the pitch will never slacken whenever he takes to the pitch for Newcastle United. The Essex-born midfielder was heavily linked with a move away from St. James’ Park during the January transfer window, though is now guaranteed to be staying at the club until the end of the season, at least. Such speculation has coincided with Hayden’s longest unbroken spell in the Magpies’ starting XI since their promotion to the Premier League 18 months ago. Though used as a substitute for last month’s Emirates FA Cup Third Round victory away to Blackburn Rovers, he hasn’t failed to start a top-flight game since 22nd December. Hayden clocked up another 90 minutes as United lost narrowly to Tottenham Hotspur on Saturday, and afterwards, he gave an honest interview to nufc.co.uk about the month gone by and his short-term future. “This has been a difficult period. I’ve not really known whether I was going to be staying here for the second part of the season or whether I was going to be going, but – as I’ve said – as soon as you cross that white line, everything else doesn’t matter,” he said. Having beaten Manchester City at St. James’ Park on Tuesday night, Newcastle looked on course for another impressive result against a title-chasing side, only for Spurs’ Son Heung-min to strike with less than ten minutes to play. United ‘keeper Martin Dúbravka perhaps ought to have kept out the South Korean’s shot, but Hayden – who was complimentary of the Magpies’ overall display – insisted that the blame for the decisive moment should be shared around. “People will look at Martin and say that he should have saved it, but at the end of the day we let them get a shot off and it’s our job, as outfield players, to stop shots – and we didn’t,” he said. “Once a forward gets a shot on target, he’s always got a chance of scoring. We’re a team, and everyone makes mistakes through the season – I made one at Cardiff and got sent off. It’s about the lads sticking together and helping each other through difficult situations. “When you play against top-quality players, like they have got, you’ve got to be sharp and on the ball from minute zero to minute 90 plus four. They’ve got quality all around the pitch and they can damage you at any given time. We competed really well until the 83rd minute, and it’s disappointing to lose the game in that manner. We had our chances, and we were unlucky. Ronny hit the post, and even I had a couple of half-chances – usually I don’t get into those situations! “Overall, it’s another positive step. Everyone’s disappointed to come away with no points, but after Man City on Tuesday night, we’ve shown again that we can compete against the top four or top six and do well with our game-plan. It works well – we stick together, we stay compact and we fight for each other. It’s not an individual game – we haven’t got anybody who can make the difference on their own, like a Son, like a Messi or whoever; it’s all about the group as a collective. And that’s what we do so well – we work so hard for each other and we work hard for the manager, for the club and for the fans. "I’ve not really known whether I was going to be staying here for the second part of the season or whether I was going to be going, but – as I’ve said – as soon as you cross that white line, everything else doesn’t matter. You’ve got a job to do, and you always want to try and do your best and show what you’re capable of doing."